Home page visual design, responsive design, and HTML/CSS. 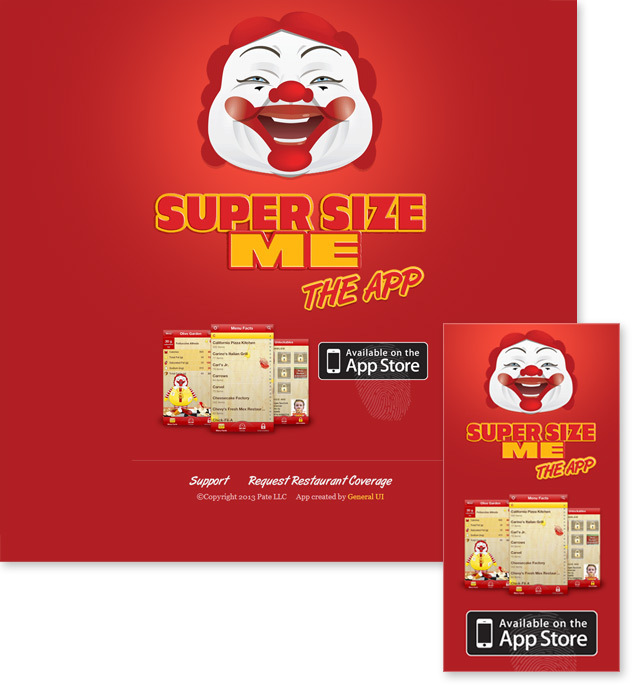 Responsive site design for Super Size Me: The App home page to accomodate nearly any size of desktop borwser or mobile device. Application created by General UI.